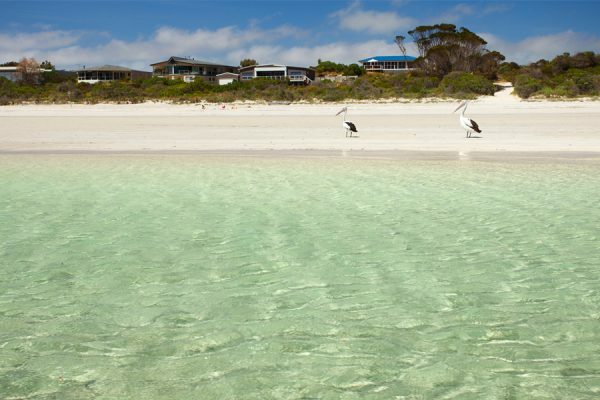 Kangaroo Island Beach House Accommodation - Beach Front, Great Views. 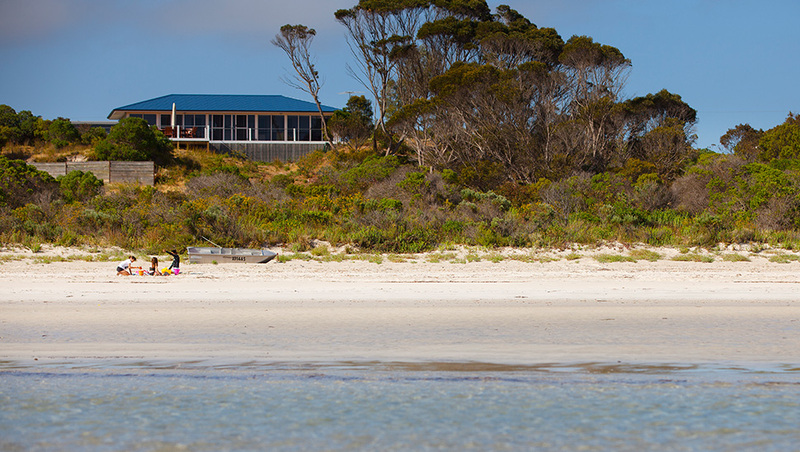 You’re at Kangaroo Island Star Beach House on Island Beach, the only beachfront holiday house with direct safe access to the beach in front of you. 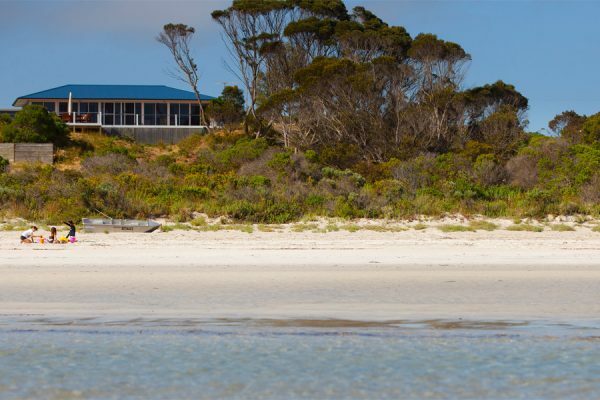 Conveniently located only 12 minutes from the ferry port of Penneshaw, you have the perfect base for your Kangaroo Island experience. 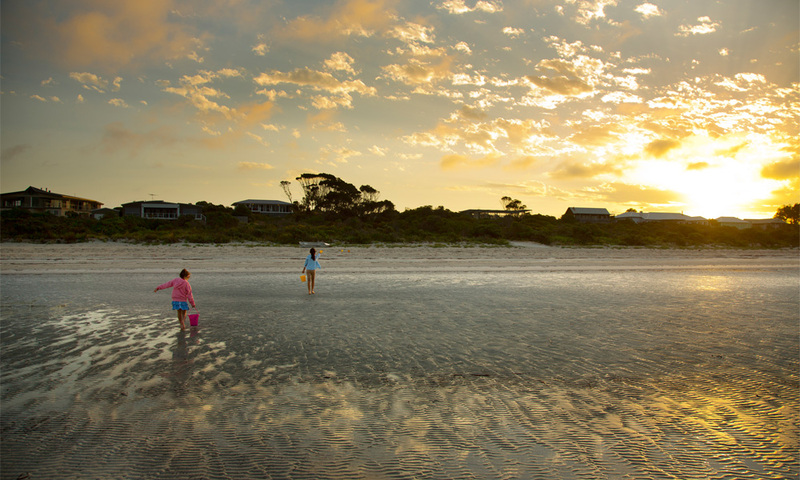 No need to negotiate native bush, you can simply meander down a path, onto a sandy track directly onto the beach. 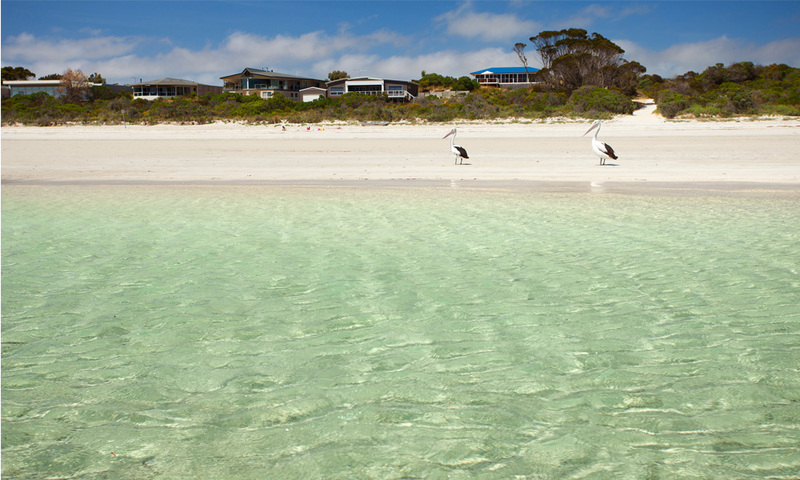 An idyllic, peaceful location overlooking the soft sand and safe clear waters of Island Beach. 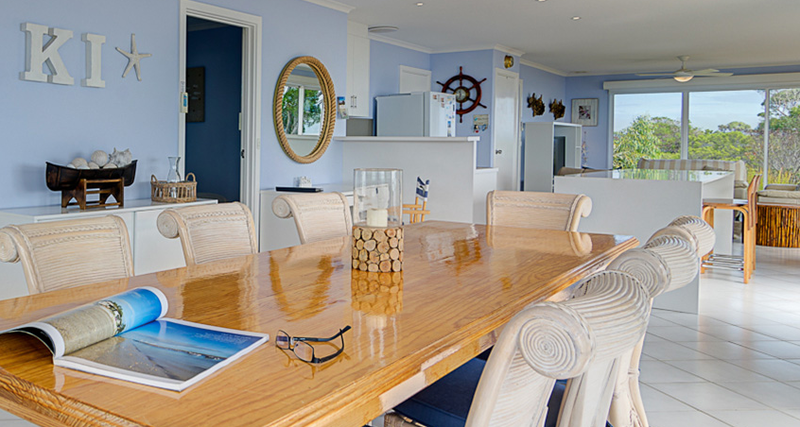 On arrival you will be welcomed with a Gourmet Local Produce Gift Basket and a bottle of South Australia’s finest wine which you can enjoy either on the expansive deck or inside the light filled living rooms with spectacular 180˚ panoramic views of Eastern Cove. 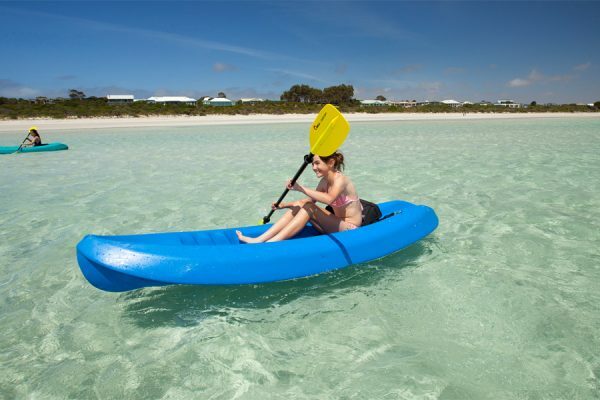 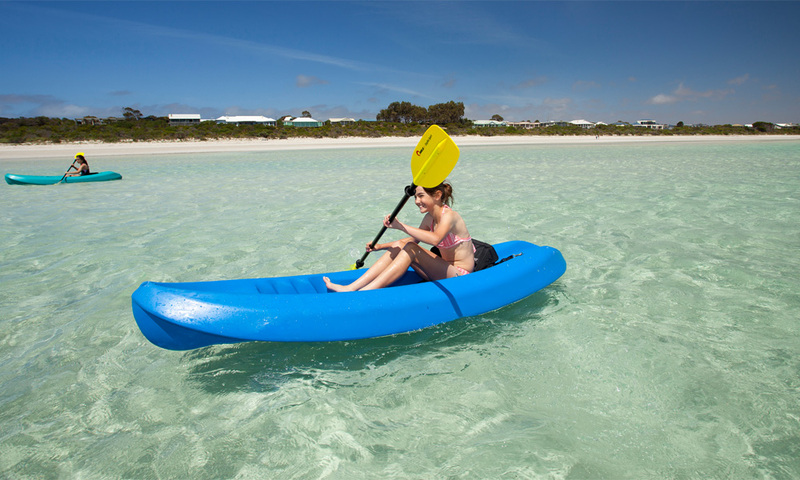 If you’re the adventurous type or young at heart you will take the kayaks down to the water and spend the day cruising with the dolphins as large rays swim under you. 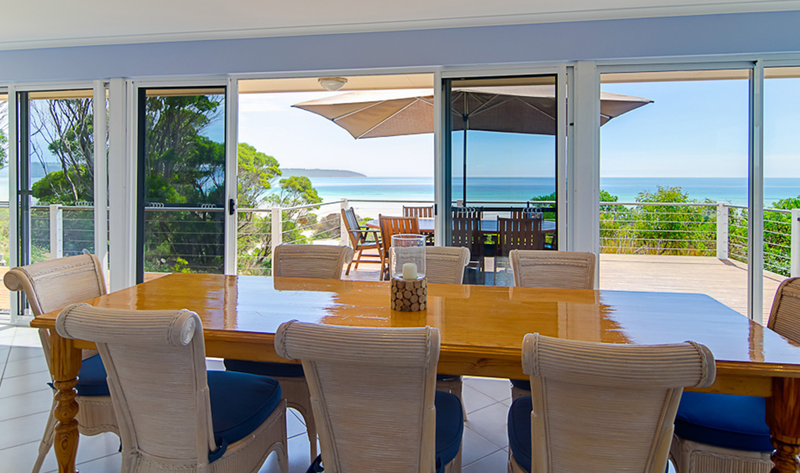 Or you may prefer to relax on the deck under the huge market umbrella, taking in the elevated beachside views and open living. 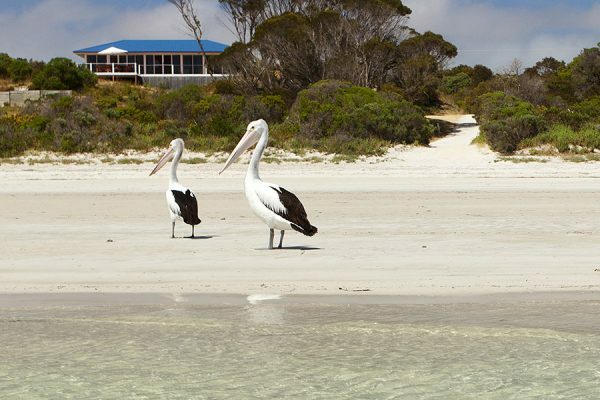 Holiday on Kangaroo Island in a beach house that fronts the acclaimed Island Beach. 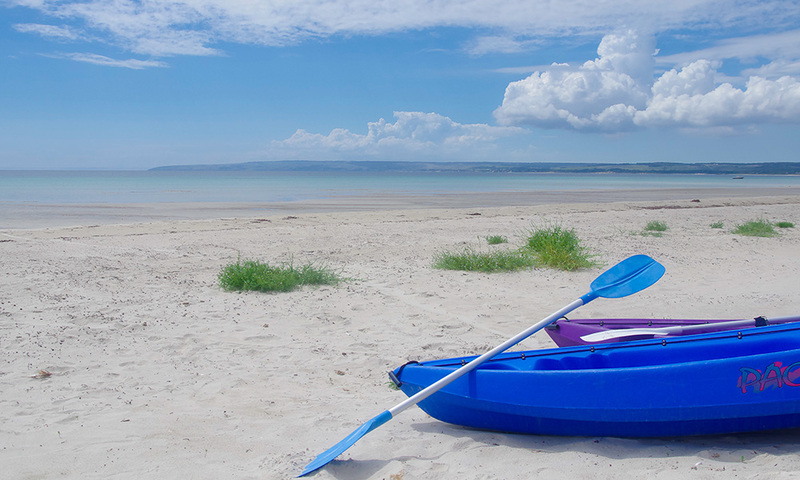 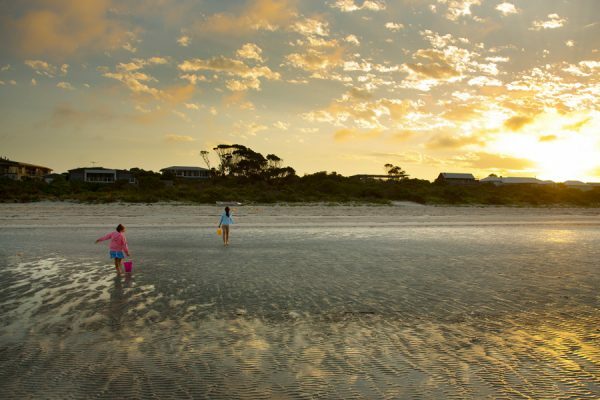 Family friendly with 6 beds (sleeps 8), you are only 30 steps away from a clear, calm and safe beach. 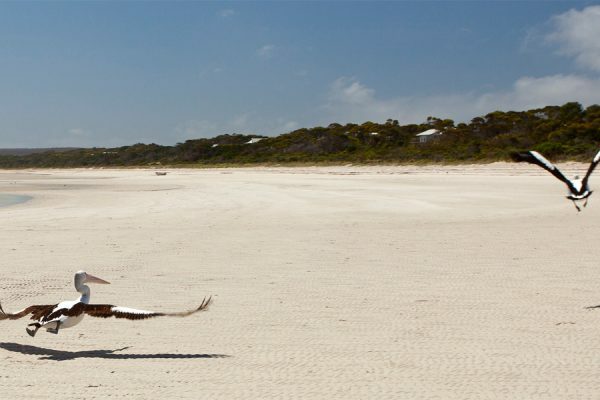 Enjoy spectacular and uninterrupted 180-degree elevated views in comfort plus Kangaroo Island Star is the perfect base to explore the wonderful attractions of Kangaroo Island. You have chosen well to stay at an Accredited Authentic Kangaroo Island Alliance Property. 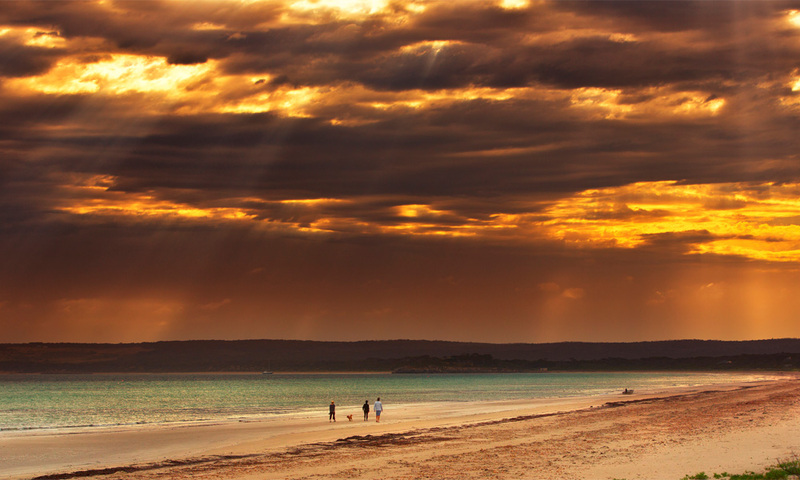 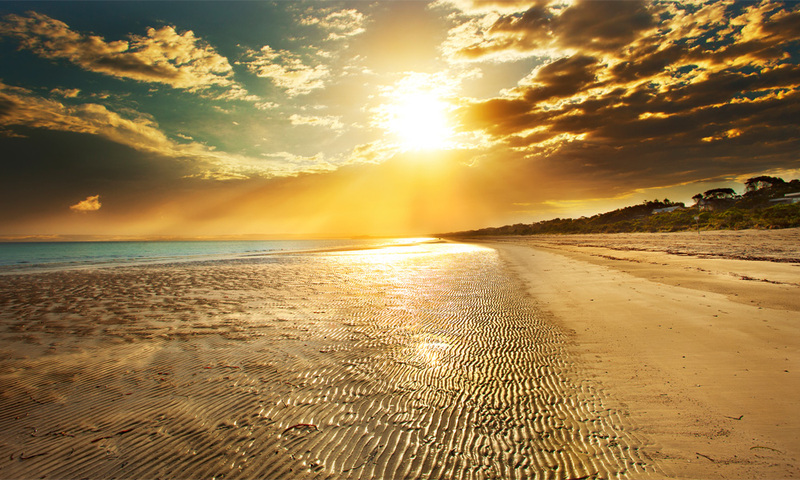 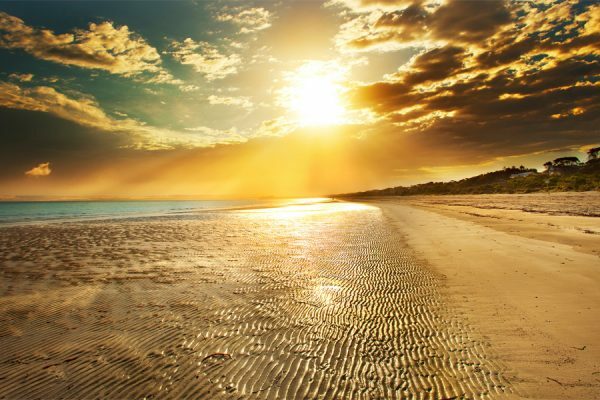 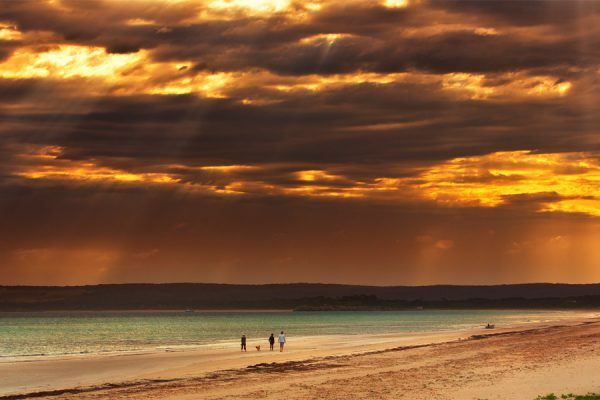 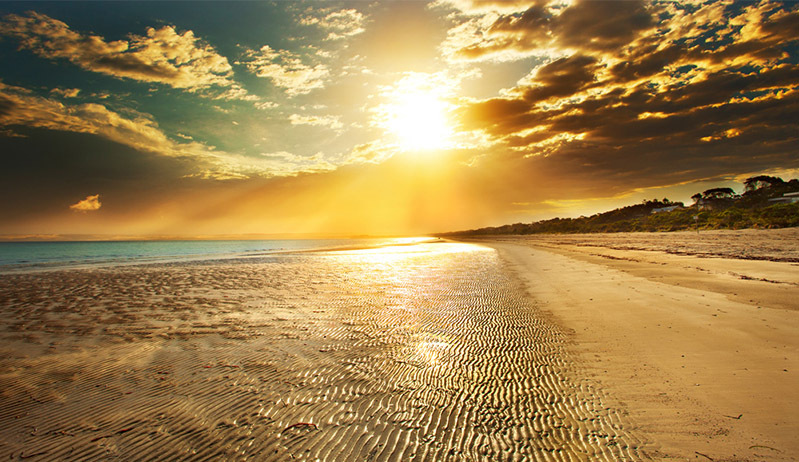 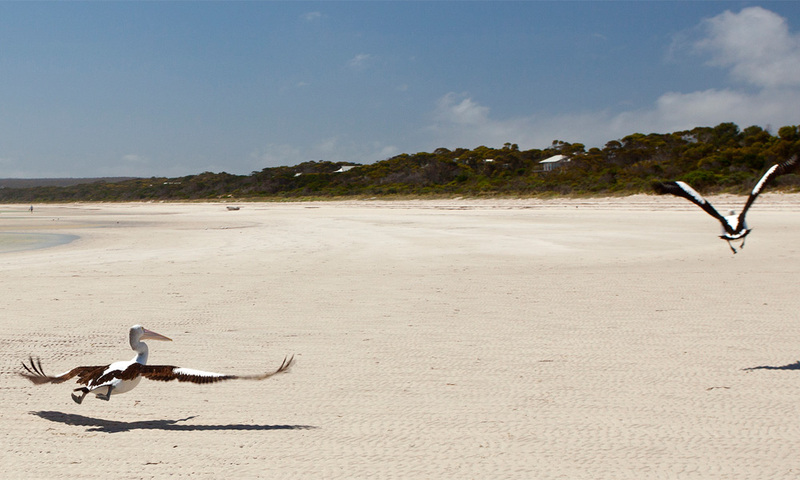 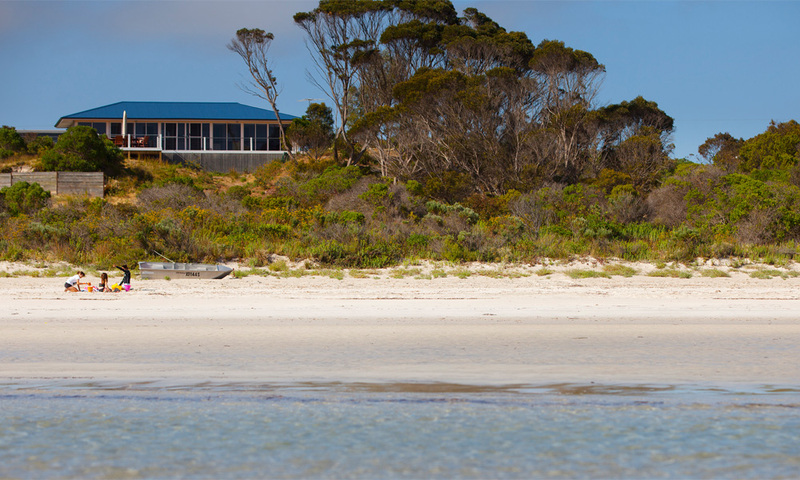 "Kangaroo Island Star Beach House on Island Beach................relax, unwind, escape"